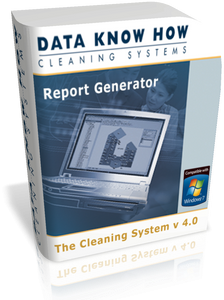 The Cleaning System installs with a large number of ”ready-to-use” reports. With The Report Generator you can add new reports or adjust the ”standard reports” to fit your own layout. Report Generator: Access to ”built-in” reports. Build new reports: Functions for adjusting or expanding.